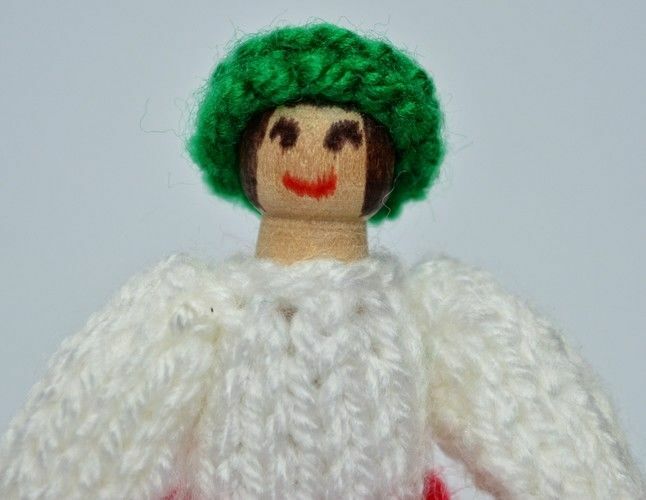 St. Lucia is wearing an all white dress, with a red sash and green head dress. 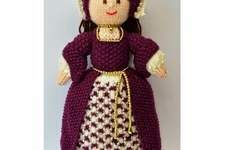 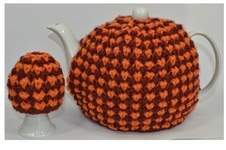 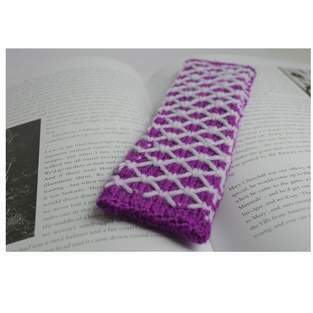 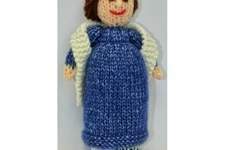 She is very simple to make and does not take very long to knit up. 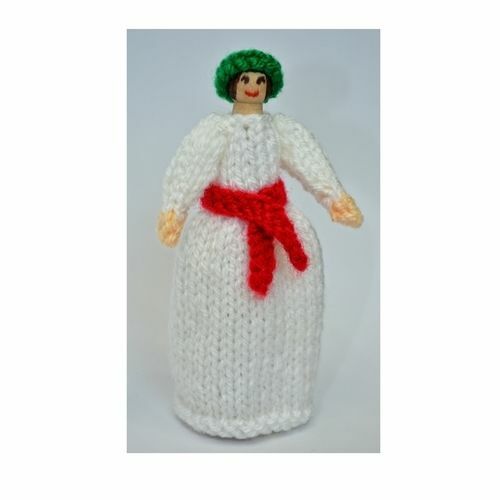 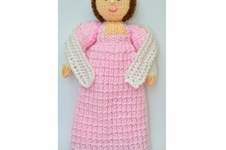 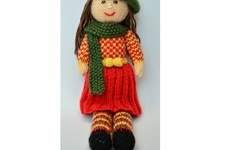 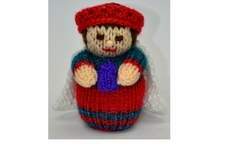 This peg doll can be made as a toy, Christmas gift or ornament, hanging from the tree. 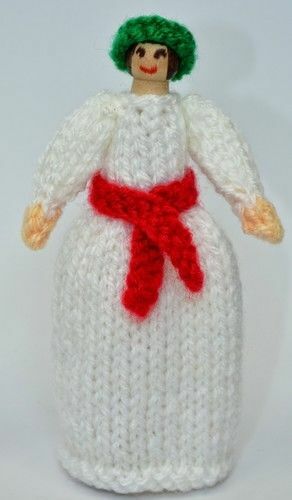 The elf fits perfectly into a Doll’s house.